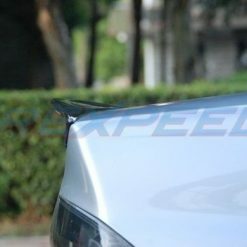 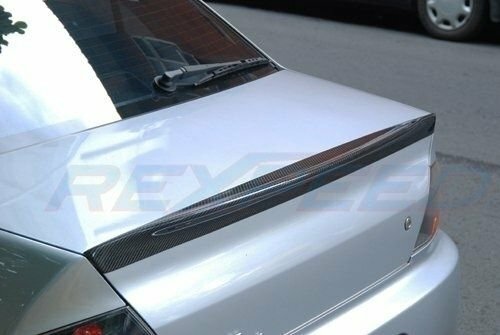 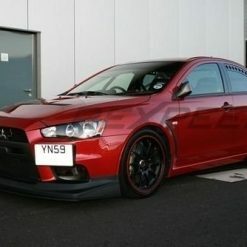 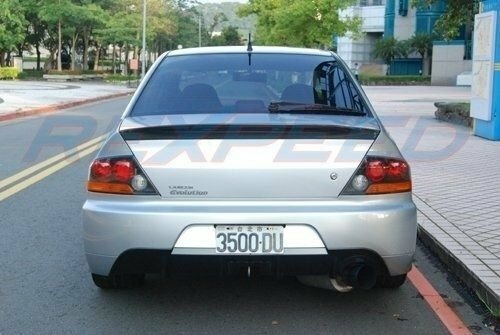 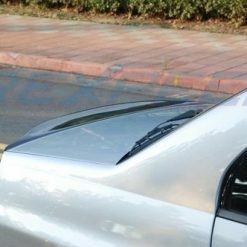 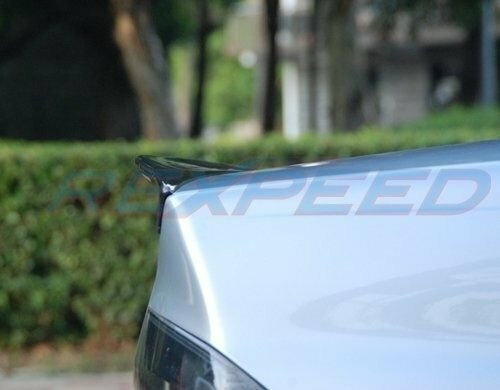 Type-D trunk spoiler is similar to our Evo X duckbill spoiler that tilts higher at the edge of the trunk which gives it that more aggresive look. 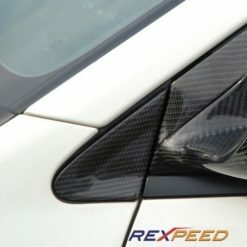 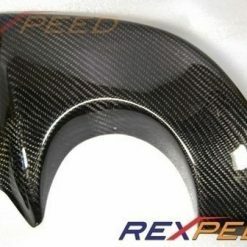 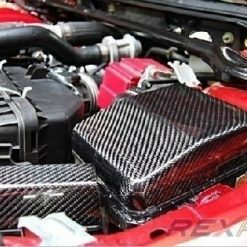 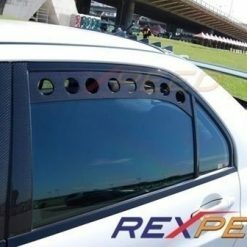 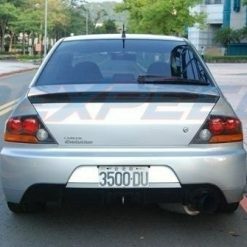 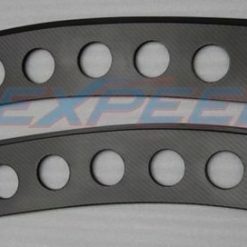 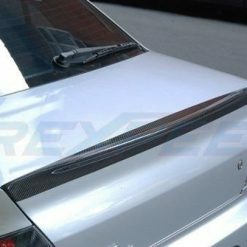 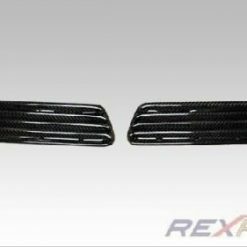 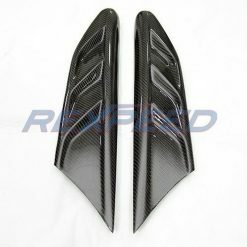 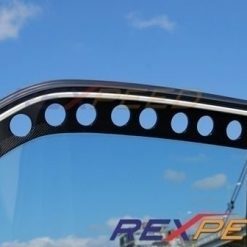 Each spoiler is made from twill weave carbon fiber with clear coat finish. 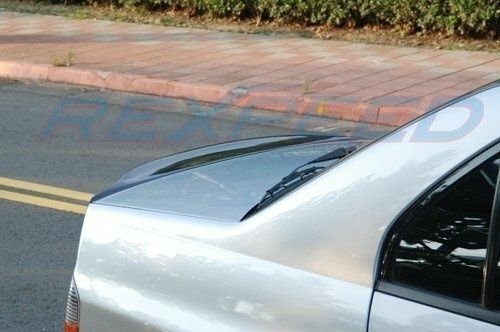 3M adhesive is included for easy install.